The Blues signed the 20-year-old for £58m in the January transfer window and immediately loaned him back to the Bundesliga leaders. Pulisic is keeping a close eye on events at Stamford Bridge, which have seen Maurizio Sarri come under increasing pressure, particularly in the wake of the 6-0 humbling at Manchester City on Sunday, which saw Chelsea drop to sixth in the Premier League. The American winger has faith that things will turn around in west London. "It's tough for me to say," Pulisic said. "They've had some tough results but I know they're going to work it out. 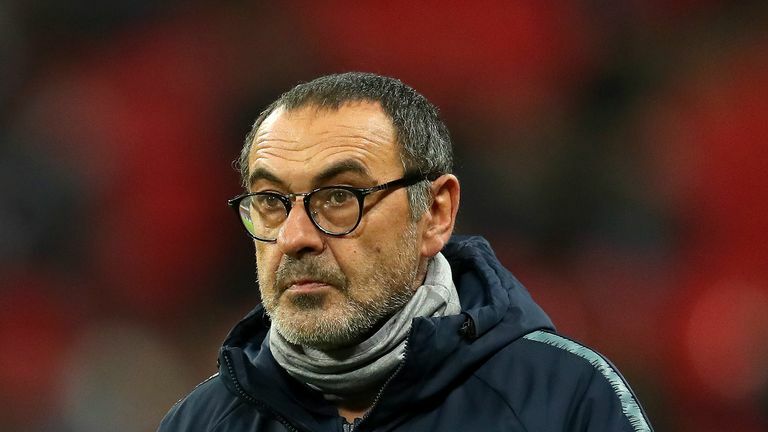 Maurizio Sarri says he does not doubt his style of football can work at Chelsea, but insists he did not see it during his side's 6-0 defeat to Manchester City. Pulisic got a taste of what life in the Premier League might be like during Borussia Dortmund's Champions League last 16 tie at Tottenham, though he did not enjoy it. Spurs ran out 3-0 winners at Wembley, which makes them hot favourites to reach the quarter-finals, but Pulisic's appetite was still whetted. "Tottenham are a great side, it's good to play against great competition in any league," he said. "But obviously I'm definitely looking forward to next season." Such a dismal night for the Bundesliga side did not look on the cards as they dominated the first half and could easily have gone in at half-time with the advantage. But Spurs blew them away after the break and put one foot in the last eight thanks to goals from Heung-Min Son, Jan Vertonghen and Fernando Llorente. Pulisic still thinks the situation is recoverable. "Absolutely," he said. "This team's never going to give up, especially going home. "We're confident we can score three goals, no problem. It's not going to be easy. "I'm not going to stand here and say we're going to win but we're going to go out, we're going to fight and we believe. That's all we can do." 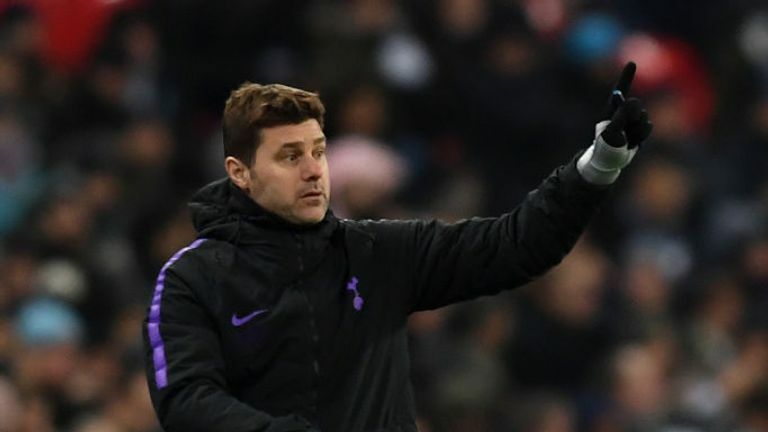 Tottenham manager Mauricio Pochettino says there is still work to do despite beating Borussia Dortmund 3-0 in the first leg of their Round of 16 Champions League match at Wembley. On his side's second-half collapse, he added: "The only thing I can think of is we just didn't come out with the same mentality, we didn't come out with that lockdown mentality saying, 'We need to finish this game with zero goals against and we have a good chance'. "Unfortunately we just weren't locked in on their crosses and they were able to score off three crosses, and we've got to work on that."